Above: Nohab/GM M61 No. 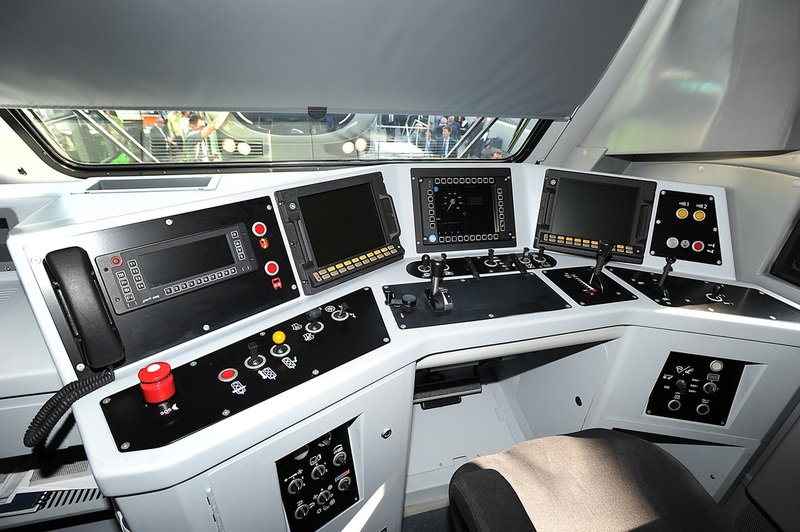 M61001 for MAV, Hungary. Above: 1936-built Windhoff DR (East German) 0-4-0 shunting loco. No. 311 225-7. 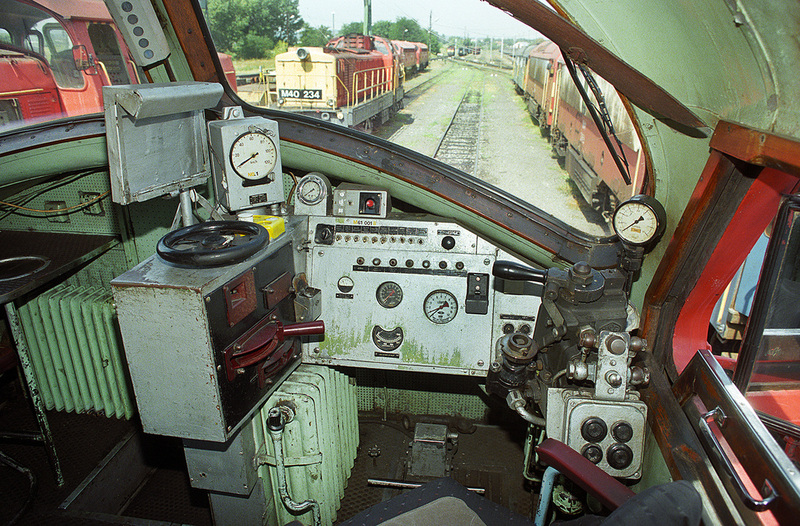 Above: Rhodesian Brush Type 4 Class DE4 (Class 47 style), right side drive. 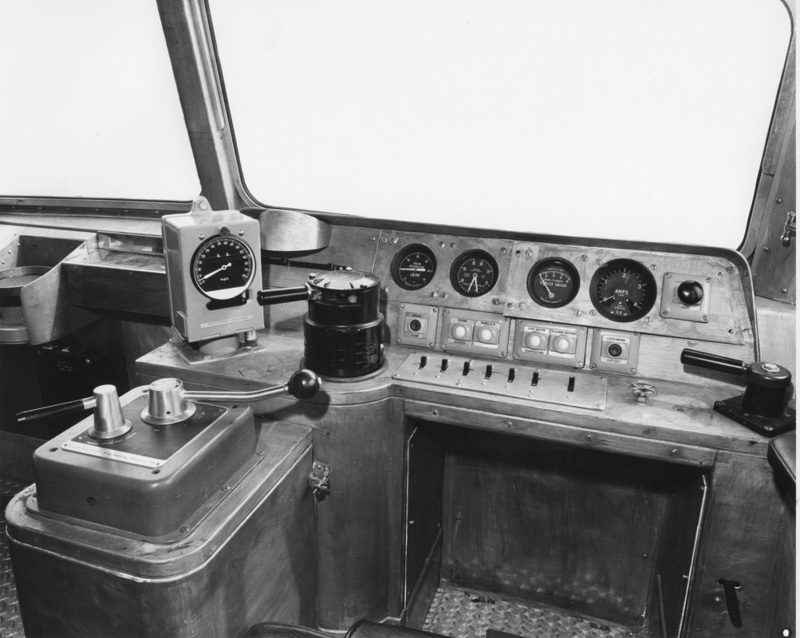 Above: German 'Warship V200 No. 221 145-6. 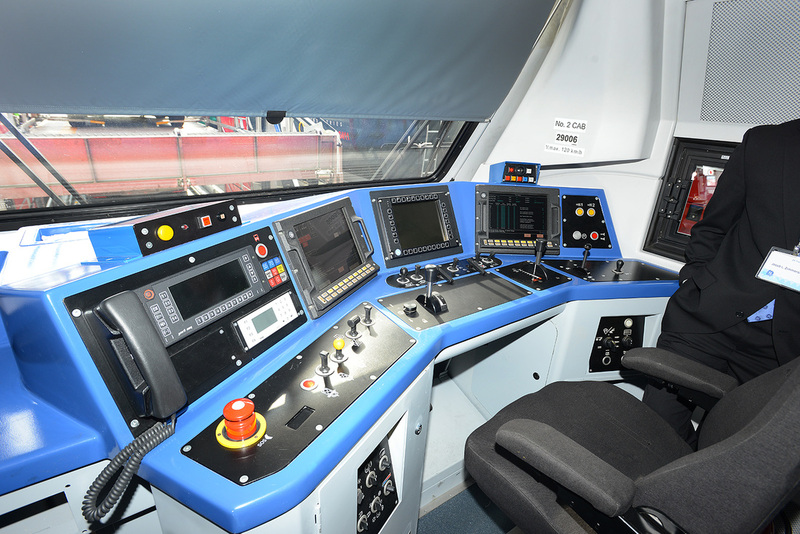 Now restored and operated for engineering trains by Netinera in Neustrelitz, north of Berlin, Germany. Above: Euro Class 66 No. DE6312. 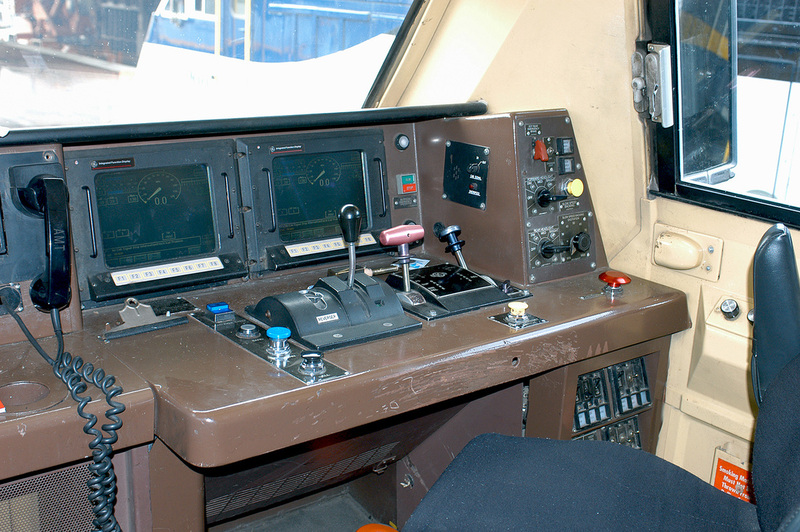 Above: Amtrak P42 No. AMTK64, Oakland Shops. 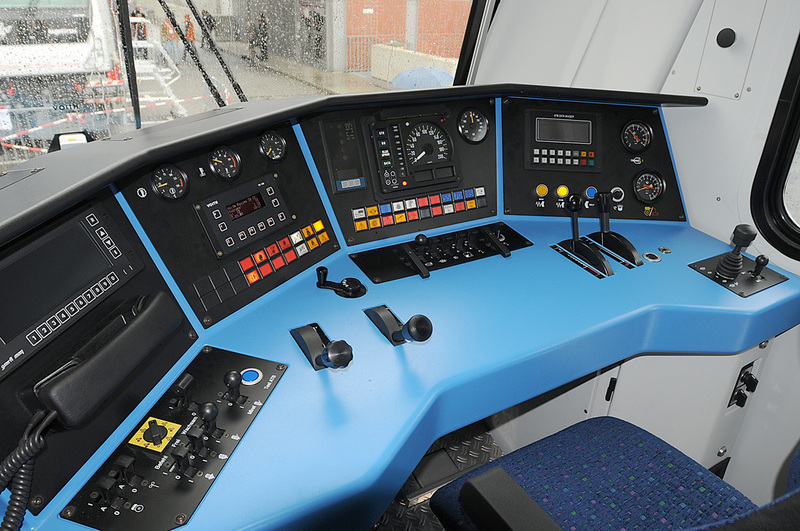 Above: Blue Tiger 250 001-5. B position. 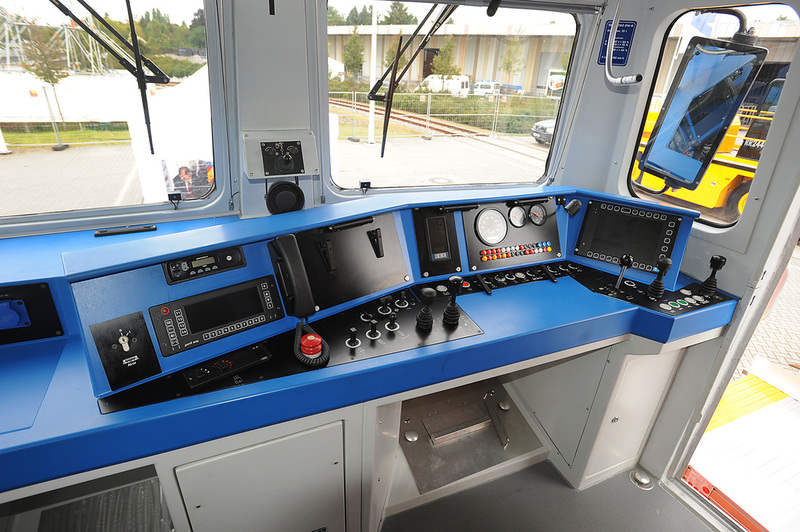 Above: Blue Tiger 250 001-5. A position. 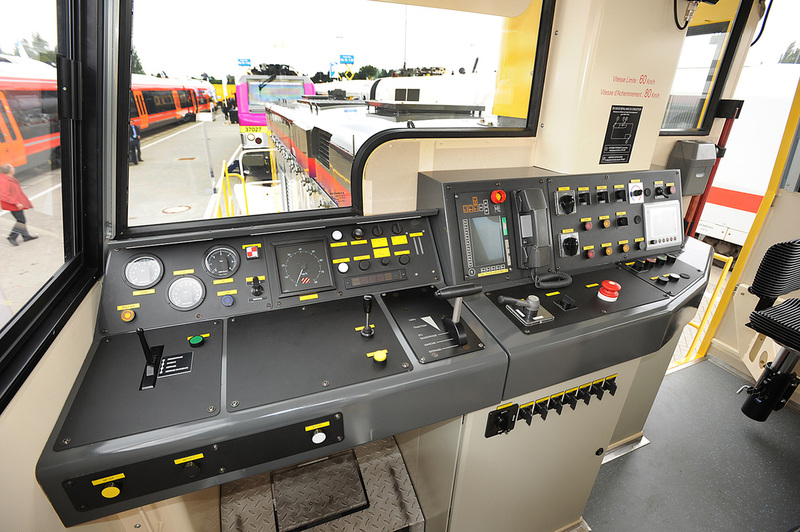 Above: The two different cabs of Voith Maxima 30CC development loco, Innotrans, Berlin September 2008. 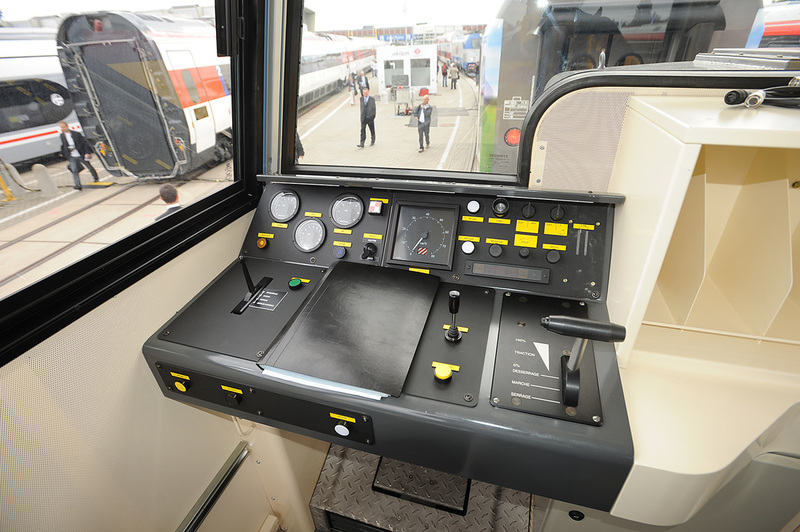 Above: Voith Maxima 40CC development loco, Innotrans, Berlin September 2010, assembled by Legios in Czech Republic. 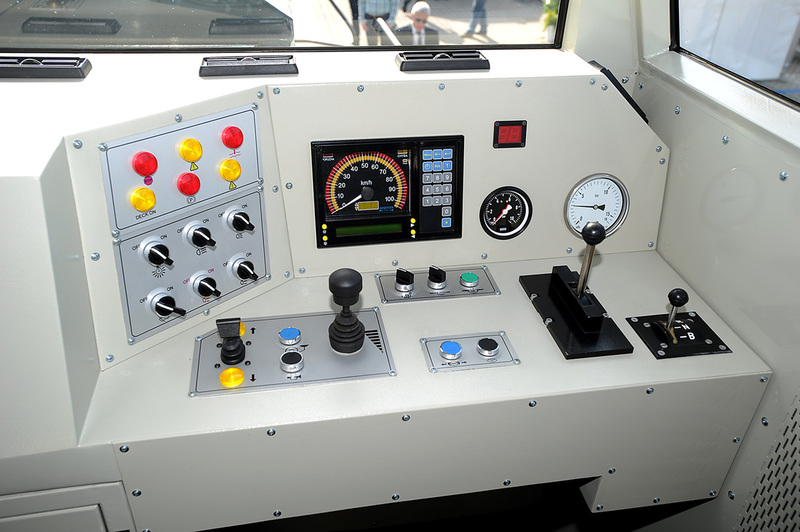 Above: Polish private operators 311D standard gauge, rebuilt from Russian M62 by Newag using only the underframe. 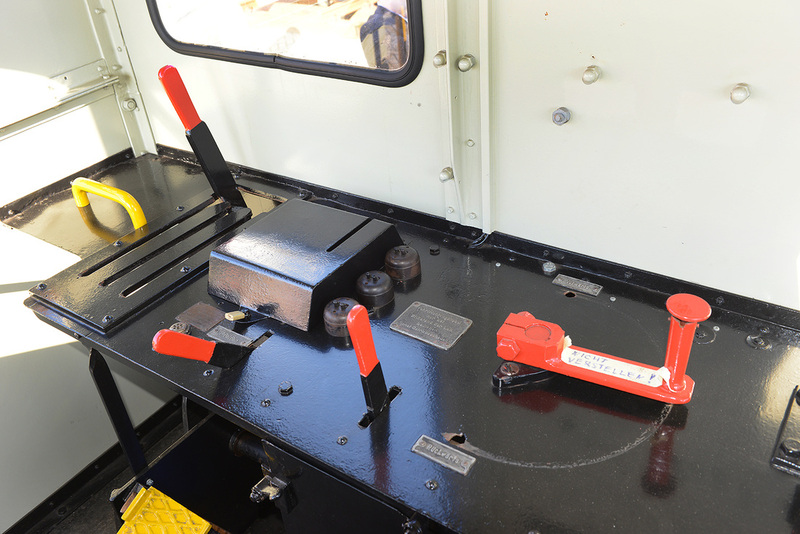 The body is new, the main engine is a General Electric power pack. No. 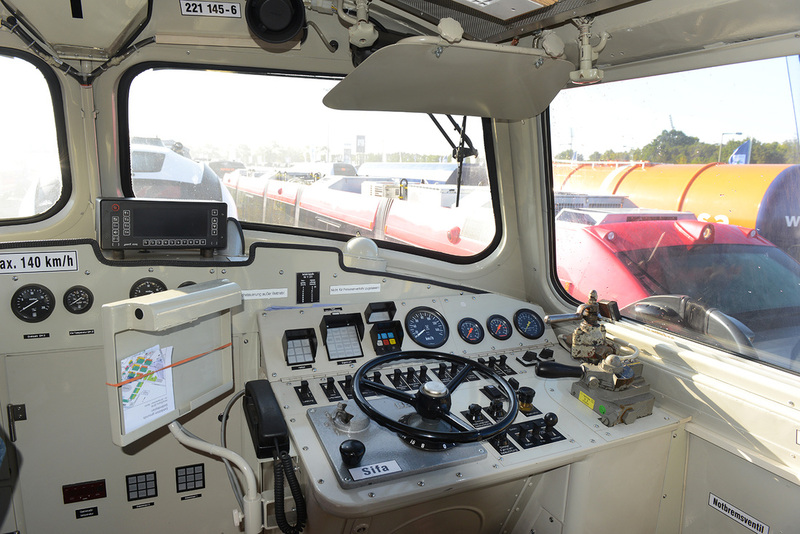 311D-03, also numbered 29005 for HHPI is illustrated. 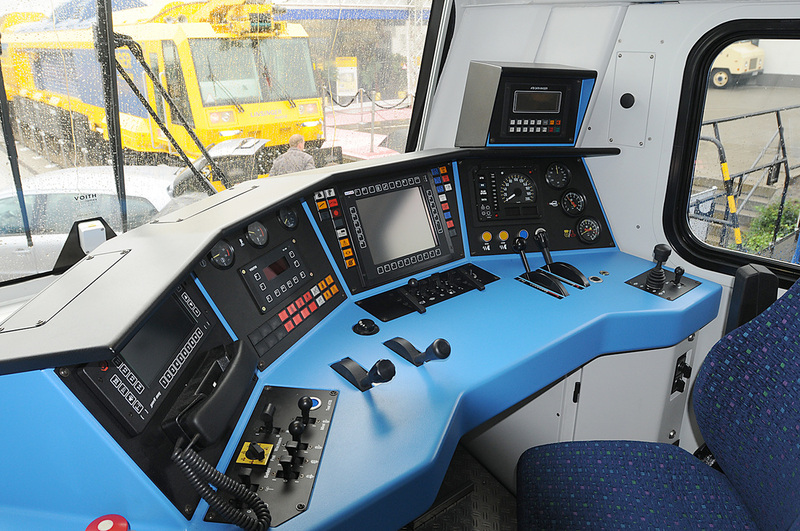 Modernised cab of Romanian Class 600 now Class 630. 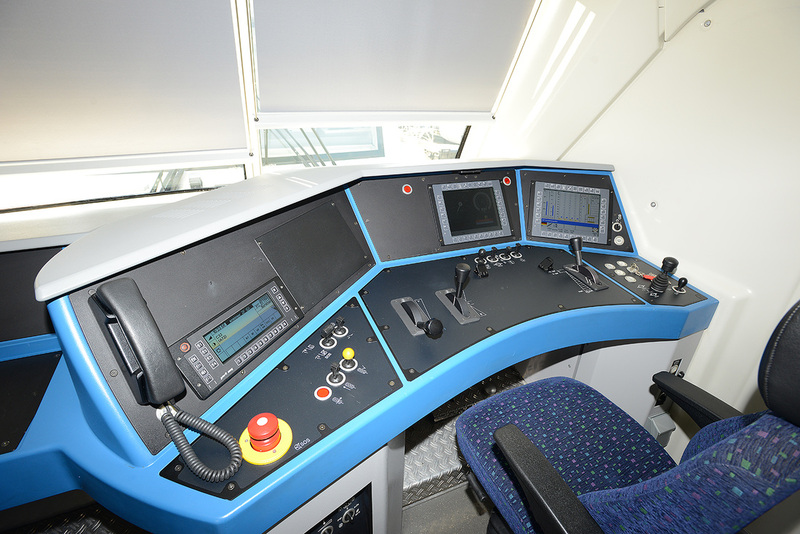 Above: Austrian OBB/RTS Class 2143 No. 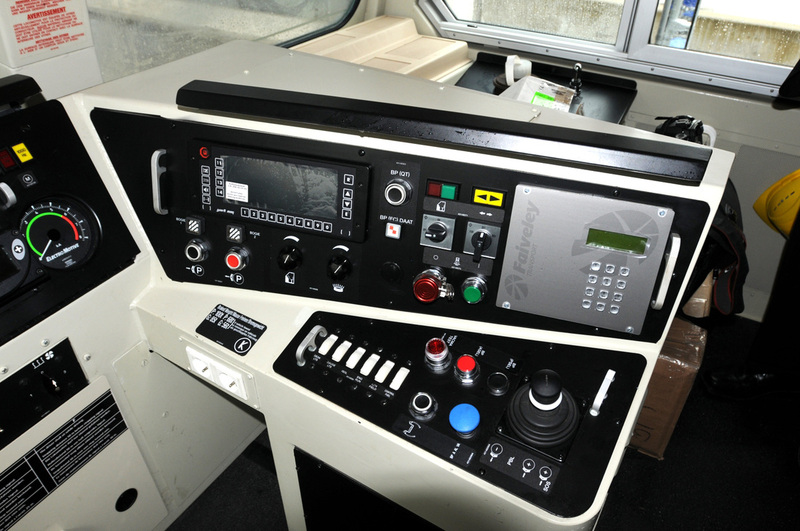 2143.014 refurbished cab. 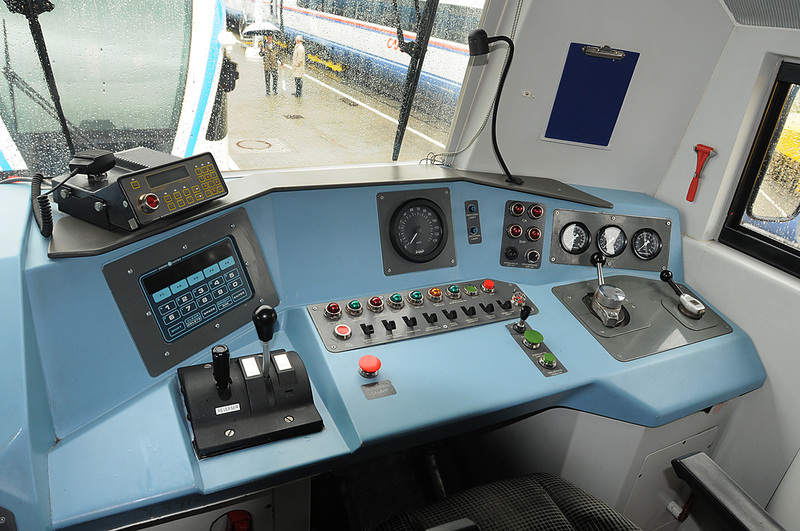 Above: French Railways SNCF refurbished cab of shunting locomotive of class Y9000. No. 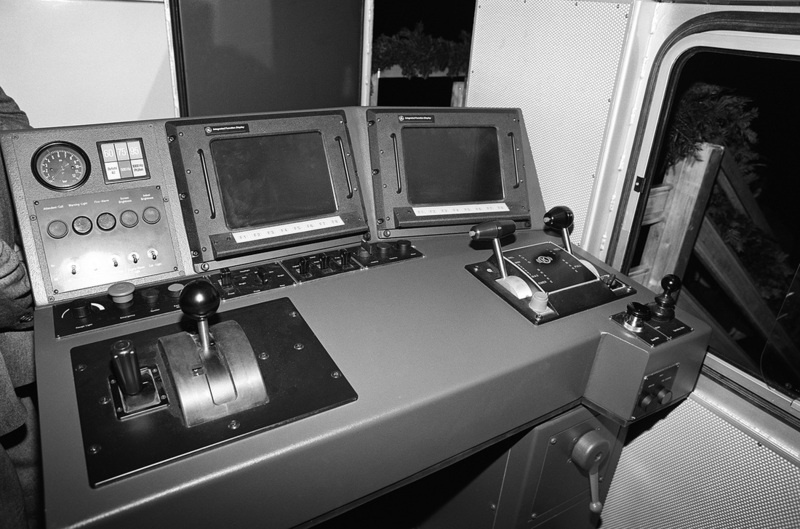 9002 illustrated, Master cab position. 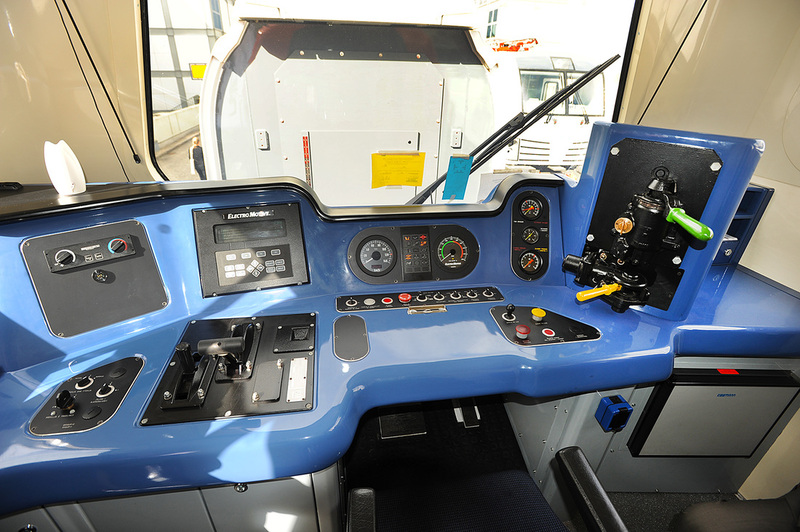 Above: French Railways SNCF refurbished cab of shunting locomotive of class Y9000. No. 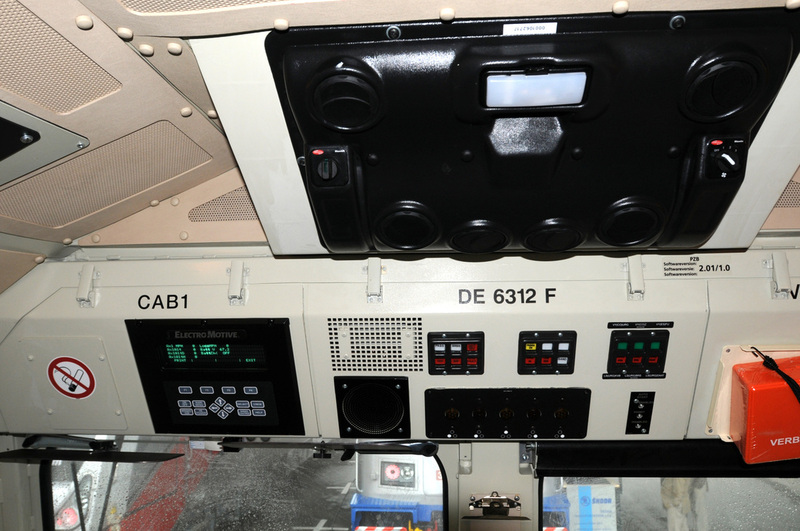 9002 illustrated, Slave cab position. 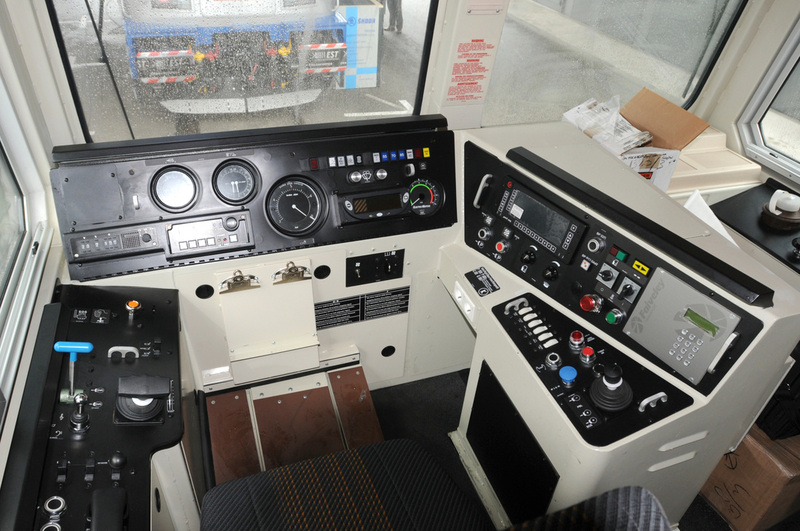 Above:Gredelj of Croatia and General Motors rebuild of G16 into JT38CW-DC, showing a complete new cab design, but incorporating the original brake controller stand. 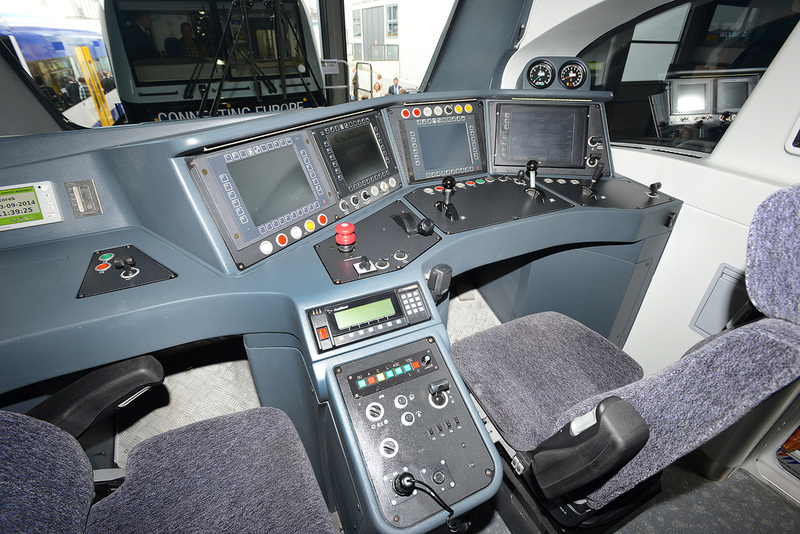 Above: Bombardier TRAXX P160 multi-engine diesel loco. Operational for DB No. 245 003-9. Above: Express Services 0-4-0 diesel shunting and trip loco from Bulgaria No. MDD-4-01. 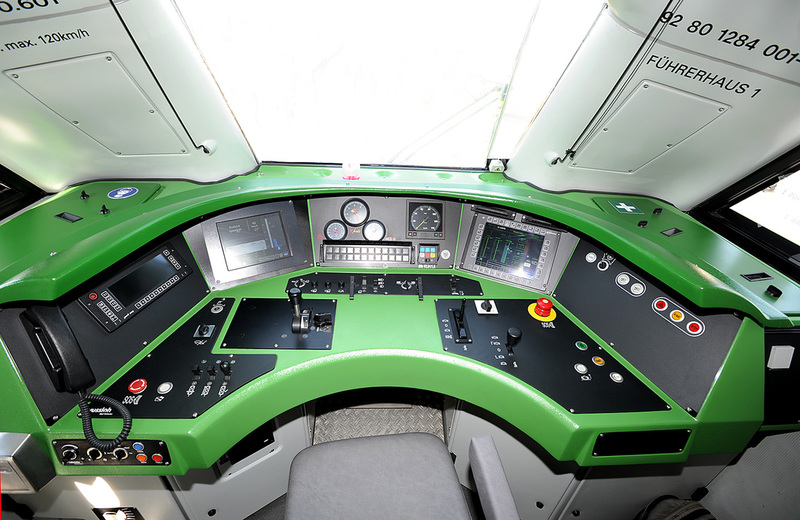 Above: Vossloh 'EuroLight', the euro version of the UK Class 68. Loco 92 80 1284 001-5 D VE illustrated. 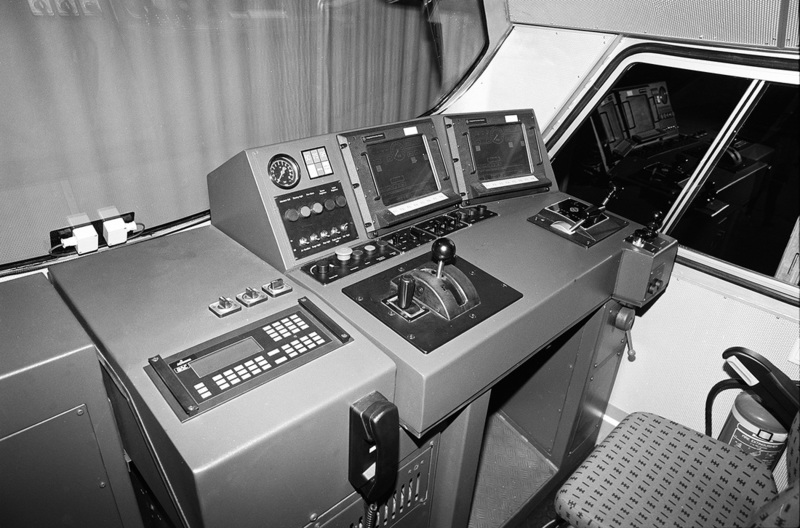 Above: General Electric 'Power Haul' product range - European cab design (This is how the UK 70s should have looked). 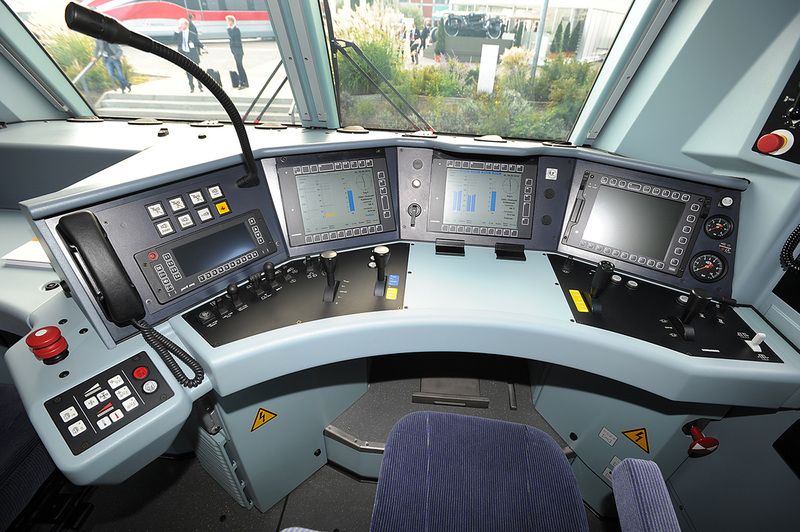 Siemens Vectron diesel-electric No. 247 901. set up for German operation. 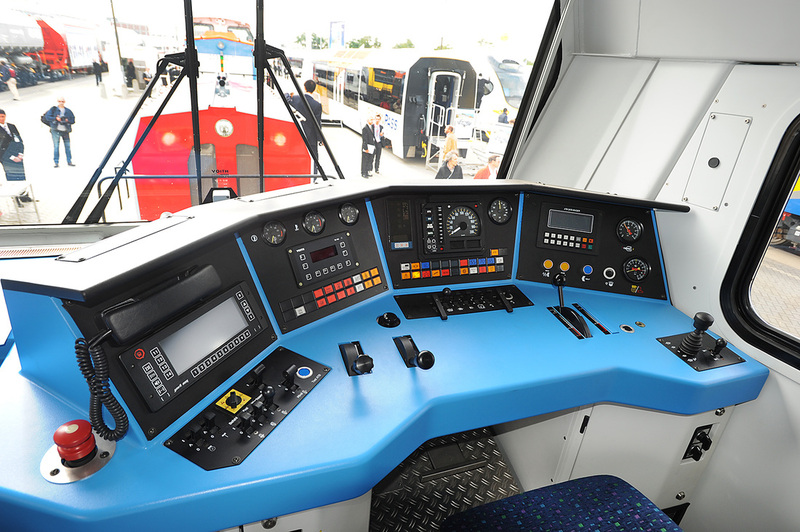 Above: Pesa 'Gama Marathon' diesel-electric cab, demonstrator loco of which 10 are to be built for Polish operator PKP. 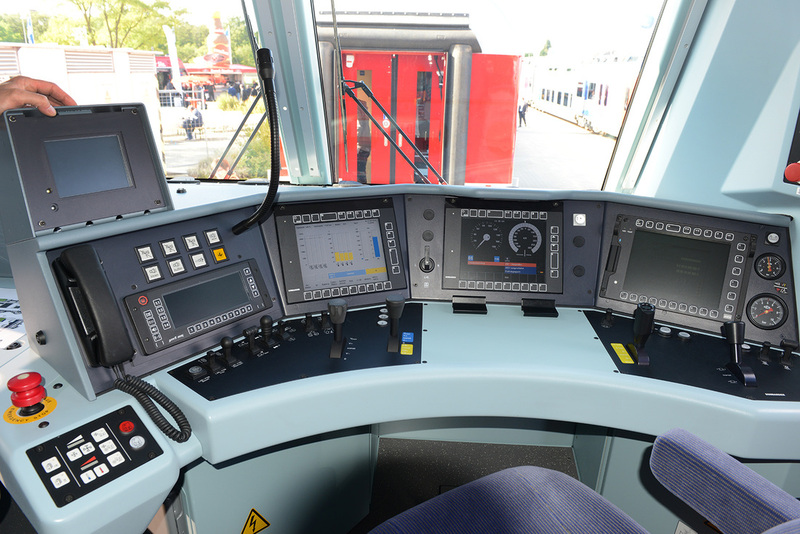 Above: Bombardier TRAXX ME4 diesel loco for DB Regio. No. 245 014.